Have you Seen the Rankings of the Best Global Universities? When students love to learn, they excel. As U.S. News & World Report releases its list of "Best Global Universities Rankings" – including Harvard, MIT, UC Berkeley, Stanford and University of Oxford at the top – some of our Spring 2014 graduates (from across all BASIS schools) will have made their way to top universities this fall, including students who received acceptance letters from those Top Five global universities. At BASIS Independent Silicon Valley, students in 9th grade start the college counseling process to assist in college selection and understand admission expectations. 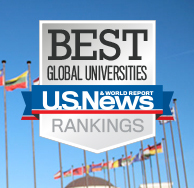 Review the full rankings of the "Best Global Universities." The class of 2014 is comprised of 148 total graduates across four BASIS schools. The 148 graduates received 650 acceptances to 172 colleges and universities across the world, including each of the top 25 most selective U.S. colleges and universities. See a full list of higher education institutions to which the class of 2014 received acceptances. BASIS Independent Silicon Valley is a San Jose private school providing students a nationally ranked STEM-focused Liberal Arts program for grades 5 through 12. We are now accepting applications for fall 2015.